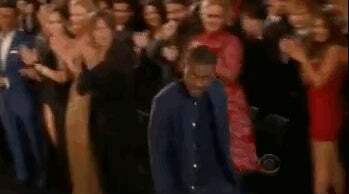 When Frank Ocean won for the Grammy for Best Urban Contemporary Album, everyone in the audience gave him a standing ovation. Well, everyone except for Chris Brown. Not surprising, seeing as the two hate each other because Chris Brown is such a terrible human being. 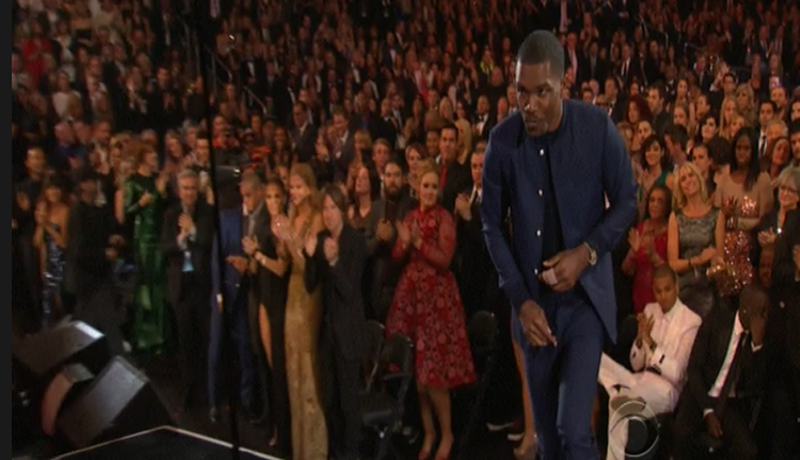 Also, is Adele giving Brown the side eye stink eye? Because between that and her gorgeous shoes, I'm about to jump through this screen and force her to gay marry me. I can't wait for the future when that's something we can actually do.